On Page SEO optimization techniques and checklist – Detailed Guide 2019. Yours trusted On-Page SEO optimization guide to keep ranking to that desired place! (First Publication). Thank you, visitor, for thinking, we might help you understand the evolving list of ON-Page SEO checklist. This is a detailed guide, with the most recent and time-tested additions of best practices which you should do to improve the on-page health of your website. Please read between the lines, and if you have any query or suggestions which you think could help make the guide even better than initially published, please write to us. So that you read what you need without necessarily wasting your valued time, we have listed the key summary we are going to cover at the very onset. Jump to the section you want information about, or if you have time read the total post. 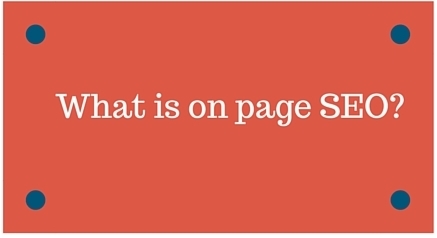 1- What is on-page SEO? 2- Why you require on-page SEO? 1 What is ON-Page SEO? 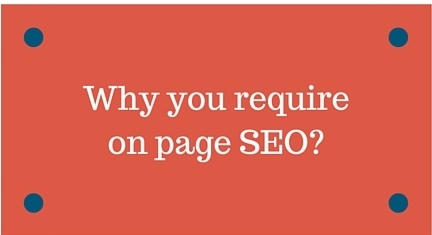 2 Why do you require On Page SEO? On-Page SEO refers to a set of best practices, tips which a website owner uses directly on his own website/blog pages to rank his website/blog at the top. There is a range of factors that come into play when it comes to doing on-page SEO for your website/blog. Without doing proper on-page SEO, you can’t necessarily rank well. This also refers that if you are doing wrong on-page SEO, your site will be penalized. 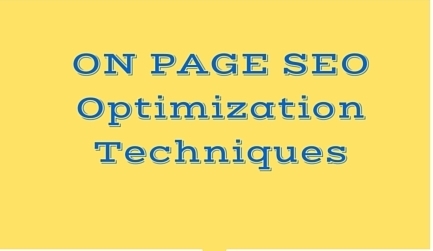 On-Page SEO is a set of technical and non-technical practices which you do to enhance the usability of your website. If your website is ranking well and if you are getting a good number of traffic, it is because you have done on-page SEO quite well. Although, off-Page SEO is another ranking factor, which we will discuss. On-page SEO if done well results in a number of benefits – improved traffic, improved ranking and a reputation. We will talk about it! Why do you require On Page SEO? On page SEO has to be done well. If undone, your website which was earlier ranking quite well can stop ranking and it could result in low traffic. However, if proper measures are taken, if you understand how to work with the basics of ranking, a good SEO campaign with a trusted variety of implementation measures can hopefully earn you a set of benefits – some of which necessarily include improved traffic, revenue, and website loading. That’s why you need to work on the on-page SEO checklist. Now we will explain the points. Each of these points is important for you to understand if you really want to make a difference using the SEO checklist. Content is the crucial decider to rank a website. In order for a website to get rank well, it has to have quality content. In fact, content is perhaps the single source decider of ranking a website to some extent. When we say good content, it refers that the content needs to supply a demand and that it should be link worthy. Meta tags are helpful in the fact that these tell search engines what a website is all about. If a properly devised meta page is written, it helps rank a website since a user and search engine algorithms rank it after what the website is about. You can even add these tags to refine search results. So, it is crucially vital for you to have properly written meta tags on your website. If you are using too many keywords on a single page, expect a slap from Panda. If you are not using any keywords at all on your pages, expect to not even get heard by Google and other search engines. So, it is important for you to find proper keywords which your competitors are using and where there is a demand. Use keywords using LSI measures. That is used naturally in a proper manner. Keyword abundance is bad whereas not using keywords intelligently is a foolish act. When we talk about heading tag, we refer H1 AND H2 tags, which are important to help your blog article get indexed ranked. While using H1 and H2 tag, it is vital to understand that if you overuse these tags, your website rank could go down. Use these tags for sub-headings and minor headings. Google has its own image search section, which lots of people use to get their query. Given the popularity of image search, it is a fact that it is also a good source of ranking. So, you need to use alt tags, so that your images start ranking on given some keywords. Use it once and see how it work. To rank well, you can use a URL with keywords. But if you overdo a keyword while making a website, it could turn you into spam. So, put logical reason behind the making of a URL. Also, do not necessarily use stop words in article URL. Some people say that you should link your posts and pages which are doing less benefit to you and linking such a post with a good quality post can help. While we say you should rank any type of blog and posts. 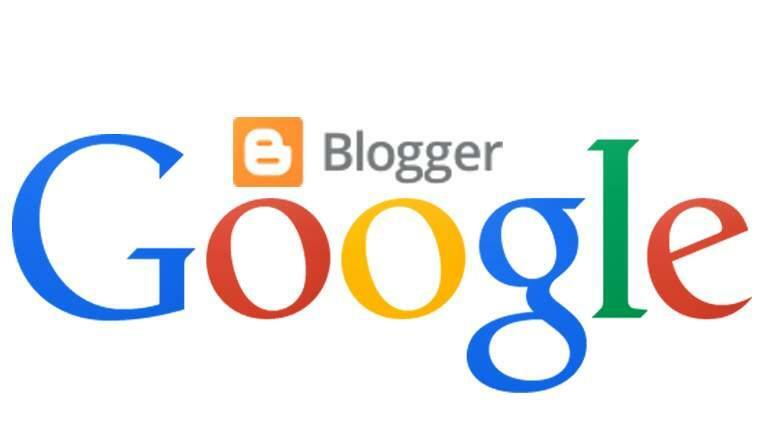 Interlinking posts and blogs into your blog help you rank. You should link any type of content with your blog. It helps search engine crawlers and users. Word count has always been a factor to rank a web page. It is a fact that if you are writing longer and useful content, your posts rank well. On the contrary, if you are writing content which is not of many words, your chance of ranking well could be an issue. So, when it comes to writing articles and posts on your blog, try to be descriptive. Using media to your content necessarily means that using proper images, videos, and link so that the posts become easy and fun to read. Rich media helps a post rank well and that when you use such media into your post, search engine ranks it well. It is because rich media engages readership and it helps your post get proper rank. Just what we noted at the very onset, when it comes to ranking a website or blog using on-page SEO checklist, content is the king and perhaps the determining factor. When you write content, ensure that you are writing it well. But when it comes to writing it well, we mean that you should use original content. If you ever use content published on the Web, it is bad for your SEO. And that search engine down rank you. We have talked about interlinking when it comes to ranking well on your searched keywords, outbound links have always been proven to be beneficial. Link to websites but ensure that you are being linked back properly. If you are linking with the in-page and on-blog or on-site content, it is important to understand that you are linking with credible posts which are working. If you have any broken links, rectify it before the link. If you are writing articles or blog posts, it is important you are using bullets and numbers onto the post. The bullets help readability and that your user can understand which points are to be read and when. When you use anchor tags, ensure to use proper tags. Don’t be intelligent, be logical and to the point when it comes to writing anchor tags. You need to ensure that you have your primary keyword in your title tag which Google gives more weight age as far as SEO and Title tag is a standout amongst the most unmistakable spot which Google looks while examining your pages, So put your main keywords in title tag additionally attempt to place keywords toward the start of title then at the consummation of your title. You know the best about your business a can share an incredible advice and tips for the customer so they can utilize them with more efficiency. Along with this, you can share or examine the data or the news identifying with your business and industry. Generally, the arrangement of keywords you are focusing on gives you enough thought to make the important content. But on the off chance that you feel vital, don’t falter to meet with the specialists to get the thought regarding keyword based content creation. With their authorization, you can cite them or highlight their perspectives in your post. It will improve the quality of your content and on the other side; they will love to share your content on their social networking channels. These are a few tips which can hopefully help you rank well. According to some, on-page SEO is most important than of page. It is because even if you do not necessarily do any of a page, it is your website that’ll do it for you. For example, if you are writing articles and blogs to promote your brand on other websites, you are actually promoting that website. Rather, if you write blogs on your own website you can do the blogging and link part your own website. It is important to add on your blog posts modifiers. When writing articles or blog posts, use modifiers such as 2014, best, guide, review etc can help you rank. These are helpful in the fact that when you want to rank for long tail keywords for your website, these modifiers can help. 2- Use LSI content, ensure to use searches related to a section at the down of page of Google. 5- Research your competitors. If they are using any form of tools that you too should use, use it before it becomes outdated. However, it is important that you do not unethical about it. 6- Use statistics seriously. Find out factors that are not improving your SEO techniques and then work around it. If your content needs to be reported, post it. 8- If you are to rank well for your keywords, ensure that you are using ethical ways. Why overload pages with keywords and get fake likes on your social media? 9- To improve your on-page SEO, update your articles with most relevant trends.You can write about what’s being in trend. 10- Other than these, if you do SMO for your website – that’s simply updating the accounts with posts you publish on your website, you can simply get valuable results. So, on-page SEO is sometimes valuable than off page SEO. However, off page SEO is still important because of some reasons, which we talk about in our article. Meanwhile, if you have any query or suggestions like we mentioned above, please let us know in the comment section. If you are serious about ranking well on your keywords, it is important that you write nice content, do SMO, link back, and interlink, use proper ways to reach your audience. If your ON-Page SEO is good and that if you are regularly updating your website, your website gets proper rank. When you’re building keywords for your site you have to have in mind that managing them is one of the most important things to do when you’re thinking SEO. Use Linkio to manage the data of short-tail and long-tail keywords and to rank better online. These all are the best On Page SEO techniques. We hope you have read our article, if you have any query about how to do proper SEO on a page or if you want to read more about ON Page SEO or Off Page SEO, please click our earlier articles. On Page or Off Page techniques checklist is very necessary for doing proper website SEO. SEO is the evolving process of improving your website rank. It is the easiest thing to work on the planet if you get the process. It is self-improving and happiness. But if done wrong, it not only generates sadness but even wastes your valued money. The process of improving a website rank is the work of intelligent implementation of ideas. If you are unsure about these, ensure to be informed about how to improve your SEO. This is one of the articles we have written about how to improve your On-Page SEO. If you think we need to rectify any point, write to us! Digital Seo Guide helps you learn the basics of SEO with tips and ideas. You can write to us if you have any query about an article. Please navigate our earlier articles for more info about SEO, PPC, digital marketing. It’s simply great post on On Page SEO. You have described each and every On Page SEO factor in detail by giving examples. Keep writing such awesome piece of articles. Thanks, Surbhi. Great to know that you found the article useful. Thanks, sandeep, I am glad you this On Page SEO optimization checklist.